Our Sunday School program, Catechesis of the Good Shepherd, honors the child’s natural closeness to God. Rather than “teaching” about faith, this religious formation program protects the young child’s sense of wonder and nurtures children’s innate spirituality with environments that give access to liturgy, the Bible, geography, and history. Email Sarah Jennings, Director of Children’s Formation, if you have questions or would like to volunteer. Free nursery care is available for infants through age 3 from 8:50 am to the end of the 10:00 am worship service every Sunday. The nursery is a safe and nurturing place for young children to play while their parents and older siblings participate in Christian formation and worship. Our paid caregivers are mature teens who are supervised by the Director of Children’s Formation. We ask that parents remain in the building and pick up their children promptly at the end of the service before heading to coffee hour. 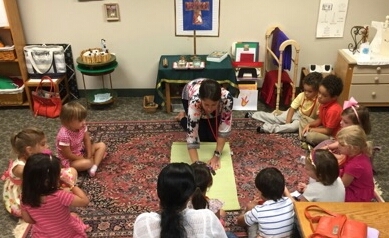 Children who are four years old through kindergarten are introduced to the rich and layered experience of Catechesis in the Good Shepherd Atrium. Children are introduced to the great gift of Jesus, the love of the Good Shepherd and his love for us, his sheep. The Mustard Seed Atrium welcomes students who are in 1st and 2nd grade, who are ready to work both independently and cooperatively. The central image of Christ is that of the True Vine, which corresponds to the need of the elementary-aged child to understand relationships with family, friends, the world and God. True Vine students are 3rd and 4th graders who are growing in writing skills and are ready for the cognitive challenges of cosmic education. 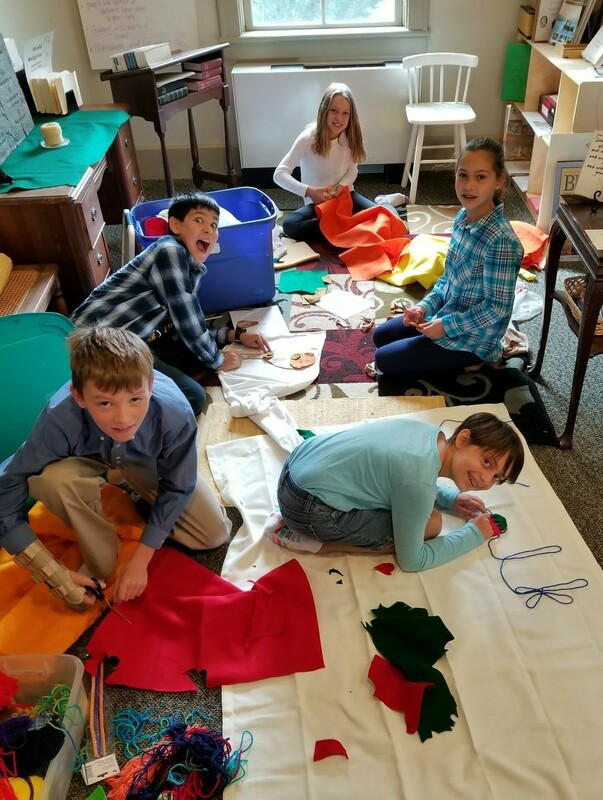 Students continue to consider the gifts of God, begin to learn about the mystery of life and death through the growth of plants, and create their own communal prayer services each week. Our 5th-7th graders meet in an atrium named “People of God.” Recognizing both the social and analytical nature of this age group, this Level III CGS curriculum offers practice in reading stories from Hebrew Scripture. Students explore the typologies of Creation, The Flood, Abraham, Jacob, Moses, the prophets and their own questions about common threads of faith and practice between God’s People, past and present, communal and personal. We also encourage each other to lead and serve in our parish as acolytes and outreach teams.